A Principal at one of East London’s highest performing sixth forms has been shortlisted for a prestigious leadership award. 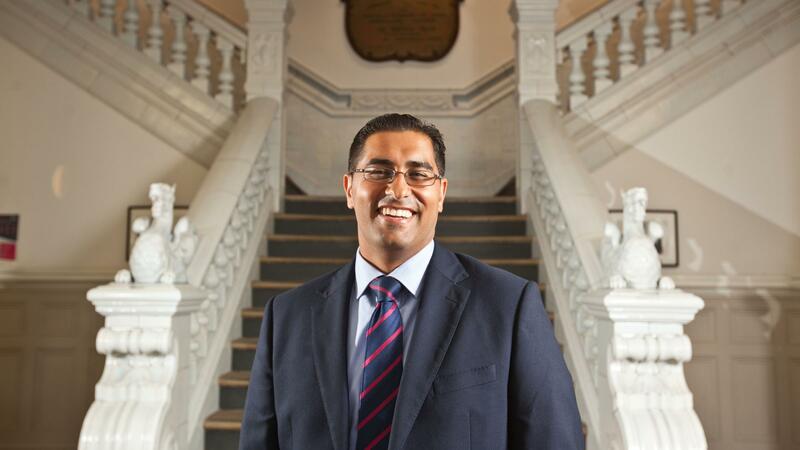 Mouhssin Ismail, principal at Newham Collegiate Sixth Form Centre (NCS), which joined City of London Academies Trust (CoLAT) in January 2018, was shortlisted in the Tes FE Awards 2019 ‘FE leader of the year’ category. Newham Collegiate Sixth Form Centre has also been shortlisted in the sixth-form college of the year. Ismail, 39, grew up in Forest Gate, Newham, the second most deprived Borough in London. He first established NCS in 2014 with the aim of providing outstanding education for local students, encouraging as many to attend prestigious universities in the UK and abroad. He changed his career as a leading City lawyer to become a teacher because he felt he wanted to give something back to the community in which he grew up. Speaking about the award, Ismail said, “I’m deeply honoured that both myself and Newham Collegiate Sixth Form Centre have been shortlisted. “I have always wanted to give something back to the community that I grew up in, and encourage the younger generation to take advantage of the exceptional educational opportunities available to them. “With the right attitude and guidance I believe our students can achieve great things. “We have witnessed double digit Oxbridge offers, 95% Russell Group offers and the first student from Newham to secure a place at MIT, the best university in the world for engineering and mathematics. “At NCS we want our students to be well-rounded citizens who have high expectations of themselves and those around them. “We want them to grow up to become leaders in their chosen fields and, ultimately be able to give something back to future generations. NCS, in East Ham, is part of the CoLAT, which runs the City of London Corporation’s sole sponsored academies. The City of London Corporation sponsors or co-sponsors 10 academies across Hackney, Newham, Islington and Southwark. Andrew McMurtrie, Chair of the City of London Academies Trust, said, “Having good leadership is essential and Mouhssin has been exemplary in leading students and staff at NCS into achieving the very best. “Students at NCS have had outstanding sets of A-Level results with 95 per cent securing places at Russel Group Universities. Winners will be announced on Friday 22 March 2019.